This book builds on a decade-long experience with mechanisms provided by the Kyoto Protocol and the UN Framework Convention on Climate Change. It discusses the challenges of climate finance in the context of the post-Copenhagen negotiations and provides a long-term outlook of how climate finance in developing countries could develop. 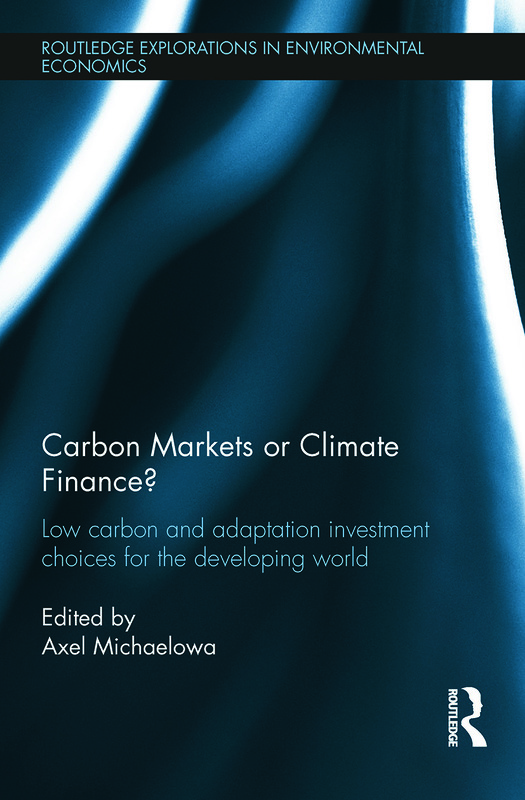 Written by climate finance experts from academia, carbon finance businesses and international organisations, the book provides background, firsthand insights, case studies and analysis into the complex subject area of climate finance. Market mechanisms for adaptation: an aberration or a key source of finance?